ScrewCapsUK - A new name, but 40 years of experience! 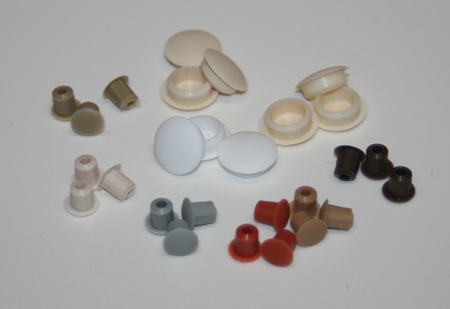 Screw Caps UK is the new trading name for Pro-Dec Products in the UK. Pro-Dec began in Australia in 1973, with world-wide patents (including the UK) for the revolutionary "Snap-Caps". In 2003, we made the decision to enter the UK market under the Pro-Dec name, and with a full range of products and colours. We have been based near Rugby in the West Midlands since early 2008. 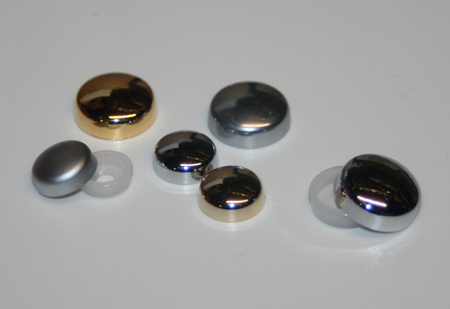 We commenced trading under the ScrewCaps UK name in April 2013. Now the No. 1 Supplier of Cover Caps in the UK! ScrewCaps UK is part of the Pro-Dec group of companies - the largest manufacturer of fastener cover caps in the world for many years. We are also now the UK's leading supplier. With the aims of Quality and Service, we have a record of not just meeting our customer's expectations, but surpassing them. Pro-Dec does all its own manufacturing in-house, with its own technical staff, own moulding machines and own moulds. This way we are able to ensure that every single stage of the manufacturing and supply-chain process is carried out to a 'worlds-best practice' standard. In the UK, we have a colour range of 96 colours, allowing us to match nearly all the popular laminate, vinyl, composite board and powdercoat colours used by customers in key industries. To allow us to service our customers properly, we ensure we maintain sufficient stock levels in the UK. All our products are bar-coded, allowing customers to automate tracking of stock levels. We also ensure orders are dispatched in a timely manner. Orders received prior to 3.30pm can be delivered to most mainland UK towns the following day. Pro-Dec is also very exerienced with Kanban and other 'Just-in-time' systems, ensuring our customers have a steady supply of product to their production line. We have always believed in providing customers with full transparency on pricing. Our prices are shown on each product's web page as well as on the downloadable PriceList. Discounts are offered depending on the total value of your order, and our pricing is consistent across the full colour range for each product, ensuring our customers do not receive any unpleasant surprises - just because they order a different colour to normal. Finally, we try to make each transaction with us as simple as possible. For most customers, the value of the cover caps on their product will represent a vey small percentage of the total value, so we know you don't want to spend hours of your time in ordering and processing the account. Our Order Form can be faxed or e-mailed to us. Alternatively you may use your own Purchase Order form, phone us with your order, or just fax or e-mail your order in 'Plain English'. Regular customers trading in excess of £200 per month can apply for a credit account. For smaller or less frequent customers, we have a number of payment options, including credit card - which can offer a month or more of credit and/or loyalty points (depending on the particular card).